The Cleveland Show is a TV show on Australian national television from Eleven with an average rating of 3.7 stars by TVCatchUpAustralia.com's visitors. We have 6 episodes of The Cleveland Show in our archive. The first episode of The Cleveland Show was broadcast in April, 2019. Did you miss an episode of The Cleveland Show but don't you wan't that to happen in the future? Please set an alarm and add The Cleveland Show to your favourites, so we can remind you by email when there's a new episode available to watch. Completely free: handy! Cleveland is upset when he finds out that Donna is still attending a single mothers' support group. Season 1, Episode 5 of The Cleveland Show was broadcast by Eleven on Tuesday 26 March 2019 at 23:34. Cleveland lands a new job with a little help from Tim the bear. Meanwhile, Rallo and Roberta plan to get Cleveland Jr in touch with his feelings. Attempting to get Cleveland Jr more friends, Cleveland invites the neighbour's kid over to the house. However, when he overstays his welcome, Cleveland has a rough time trying to get him to leave. Cleveland is excited to have a new family, but his step-kids don't seem to be warming to him. Cleveland Brown and Cleveland Jr. leave 'Family Guy' and Quahog behind and take to the road. On their way to California, they stop in Cleveland's hometown where he reunites with his old high school crush. 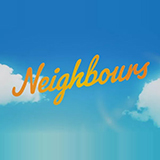 NeighboursNeighbours is an Australian soap opera written for television and created by Reg Watson, who was also responsible for series such as Prisoner and Sons & Daughters. Two and a Half MenCatch up TV on Two and a Half Men. Watch the latest and all other episodes of Two and a Half Men now online, broadcasted on Channel 9. 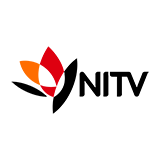 Catch up on your favorite Channel 9 TV show: Two and a Half Men. SupernaturalSupernatural is an American fantasy horror series written for television by Eric Kripke (Revolution, Timeless) and featuring Jared Padalecki (Gilmore Girls, New York Minute) and Jensen Ackles (Smallville, Days of Our Lives) as the Winchester brothers who hunt demons, ghosts, monsters and other supernatural creatures. 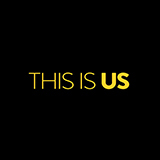 This Is UsThis Is Us is an American television show revolving around the lives of Kate, Kevin and Randall. Kate and Kevin were born as triplets, but their brother Randall was stillborn as a result of the babies being born six weeks premature.